Spc. Ronald H. Wildrick Jr. The family of Spec. 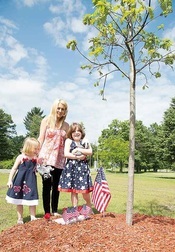 Ronald H. Wildrick Jr., 30, stand before the tree planted at Picatinny Arsenal in his honor. The Blairstown native died on Dec. 11, 2011, in Kunar province, Afghanistan. Died: December 11, 2011 in Operation Enduring Freedom. Unit: 2nd Battalion, 35th Infantry Regiment, 3rd Brigade Combat Team, 25th Infantry Division, Schofield Barracks, Hawaii. Spc. Ronald H. Wildrick Jr., 30, of Blairstown, N.J., died Dec. 11, in Kunar province, Afghanistan, of wounds suffered when enemy forces attacked their unit with an improvised explosive device. He was assigned to 2nd Battalion, 35th Infantry Regiment, 3rd Brigade Combat Team, 25th Infantry Division, Schofield Barracks, Hawaii. In addition to his mother and stepfather, Sandra Osborne McDonald and Ian McDonald, he is survived by wife, Stephanie Kasper of New Jersey; 2 daughters, Kaylee and Leah Wildrick, both of New Jersey; maternal grandmother, Barbara Osborne of New Jersey; a sister, Christie Berkey and husband John of Woodsboro where Ron considered home; brother, M Sgt Joseph M. Osborne USAF and wife Michelle of Maryland; 2 half-sisters, Debra Stickles and Susan Benziger, both of New Jersey; and numerous aunts, uncles, nieces, nephews and cousins. WOODSBORO, Md. - They spilled onto sidewalks, hiked through corn fields, and hoisted flags in the air. Many cried. Some had kept their kids home from school. 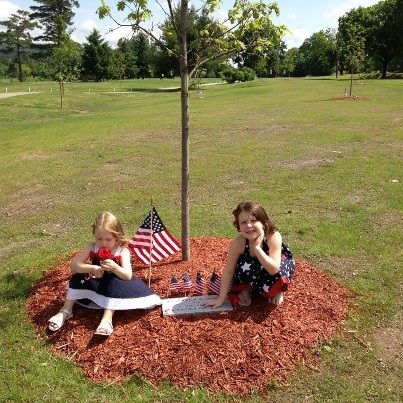 Eight-year-olds held homemade signs that read "Thank you for serving our country." And even those not known for their patience were willing to wait. "Hour and a half. Doesn't matter. I had lunch plans, but that doesn't matter either," says Mary Cutshall. Their sacrifice could never be anything like the one made by Army Specialist Ronald Wildrick Jr. and his family. 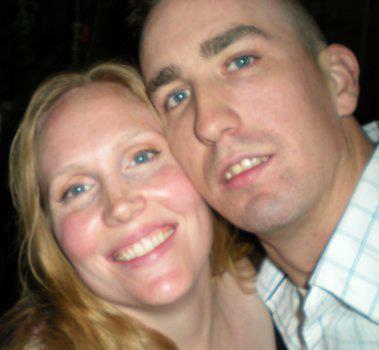 Wildrick died on December 11 when his truck hit an improvised explosive device in Afghanistan. This is his final journey home from Dover, Del. to tiny Woodsboro, Md. Hundreds lined the streets to salute the procession carrying Wildrick's casket. "Number one - they're our neighbors. We're a small town. Second, we're Americans," says Maria Beyer. And third, her son, Benjamin, is home on leave and headed back to Afghanistan soon. "I'm scared. I'd like to see them all come home one day soon," says Beyer. Residents say they weren't surprised by the large turnout, but they are proud. "It says a lot about our community. That we really do pull together and care about one another. He's one of ours - whether we know him or not," says Colette Wolf. Wildrick had told his family that if anything ever happened to him, he wanted to be buried at Arlington National Cemetery. His Arlington burial is scheduled for Friday. ROCKAWAY TWP. — Continuing an annual tradition at Picatinny Arsenal, 13 New Jersey service members who died in Iraq or Afghanistan in 2011 were honored Saturday along with their families and loved ones. Among those honored was SPC Ronald H. Wildrick Jr., 30, of Blairstown, who died Dec. 11 in Kunar province, Afghanistan, of wounds suffered when enemy forces attacked his unit with an improvised explosive device. He was assigned to A Company, 2nd Battalion, 35th Infantry Regiment, 3rd Brigade Combat Team, 25th Infantry Division, Schofield Barracks, Hawaii and also served in the U.S. Army Continental Color Guards. Wildrick grew up in Byram and attended Lenape Valley Regional High School. He had also lived in Blairstown with his wife and two daughters, and most recently was a resident of Woodsboro, Md. Along with the 13 fallen heroes for 2011, another 149 New Jersey service members who lost their lives since Sept. 11, 2001, were also honored at the ceremony. Members of the Army’s 3rd Infantry Regiment, The Old Guard, set down the flag-covered casket of Army Spc. 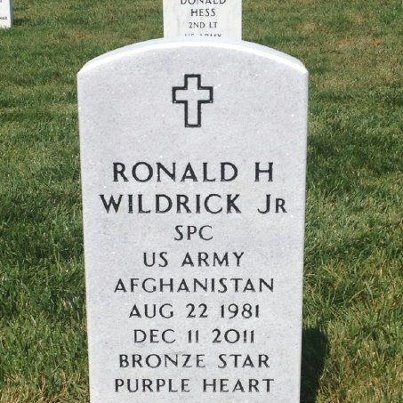 Ronald H. Wildrick Jr. on Friday at Arlington National Cemetery. During his first two years of military service, Army Spc. Ronald H. Wildrick Jr. was a member of the elite Continental Color Guard. The Old Guard mans the caisson at all military interment services at Arlington National Cemetery and serves as the honor guard for Army burials.On Friday, Wildrick's former unit honored him as he was laid to rest among more than 300,000 of the nation's service members in the hallowed ground of Arlington. A band and honor guard unit accompanied the horse-drawn caisson carrying Wildrick's casket to the grave site. Capt. Brandon Denning, Army chaplain, briefly addressed the mourners, speaking of the honor in laying down one's life for others. "It has been said that there are only two people who would give their lives for us, Jesus Christ and the American soldier," Denning said. "There is hope today, and that hope is that Jesus Christ also died for us." The honor guard fired a 21-gun salute, and the band played taps before closing the ceremony with "America the Beautiful." Maj. Gen. Bernie Champoux, who commands the 25th Infantry in which Wildrick served, presented flags to Wildrick's mother, Sandra Osborne McDonald, and his sister, Christie Berkey. 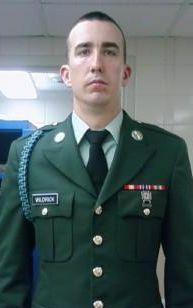 Wildrick, 30, died Dec. 11 in Afghanistan's Kunar province when his vehicle hit a roadside bomb. He was assigned to Alpha Company, 2nd Battalion 35th 3rd Brigade Combat Team, 25th Infantry Division, training Afghan soldiers and police to fight insurgents. 1. The flag of the United States of America and the flag of New Jersey shall be flown at half-staff at all State departments, offices, agencies, and instrumentalities during appropriate hours on January 12, 2012, in recognition and mourning of a brave and loyal American hero, United States Army Specialist Ronald H. Wildrick, Jr. GIVEN, under my hand and seal this 5th day of January Two Thousand and Twelve, and of the Independence of the United States, the Two Hundred and Thirty-Sixth. 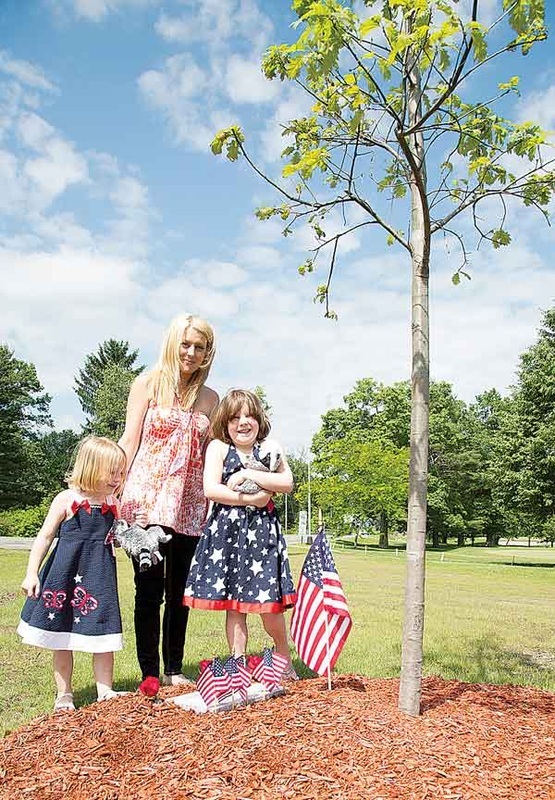 ​Named in honor of United States Army Specialist Ronald Wildrick, Jr.
Army SPC Ronald Wildrick, Jr., a graduate of Lenape Valley Regional High School, was born and raised in New Jersey. In search of new opportunities and with a desire to make a difference for his country, SPC Wildrick enlisted in the U.S. Army in 2008. During his initial military service, SPC Wildrick was a member of the elite Continental Color Guard, 3rd U.S. Infantry Regiment. He took great pride in his service with the Continental Color Guard, which included participating in the Spirit of America Tour. SPC Wildrick reenlisted in the Army in July 2011 and was assigned to 2nd Battalion, 35th Infantry Regiment, 3rd Brigade Combat Team, 25th Infantry Division, based out of Schofield Barracks, Hawaii. On September 16, 2011, SPC Wildrick deployed to Kunar province, Afghanistan. On the afternoon of December 11, 2011, 2nd Platoon from Alpha Company "Apache" was conducting a patrol in the Shaunkrai Valley in the South Kunar River Valley when one of their vehicles hit an IED. 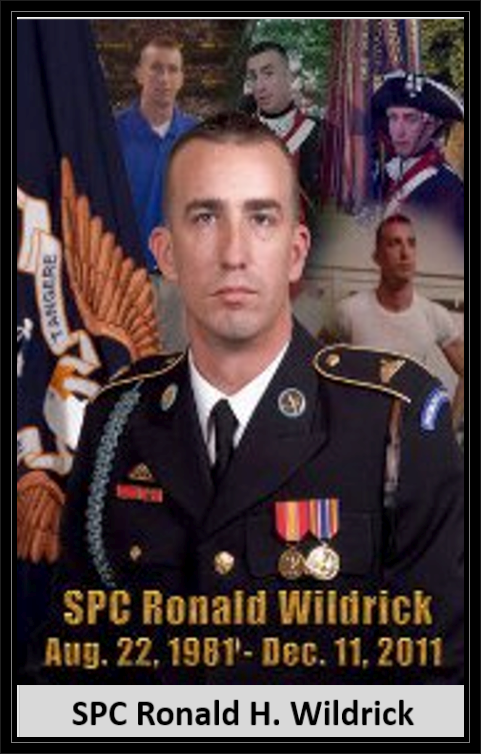 SPC Ronald Wildrick died as the result of his wounds. On January 13, 2012, SPC Wildrick’s former unit at Arlington National Cemetery honored him when he was laid to rest. 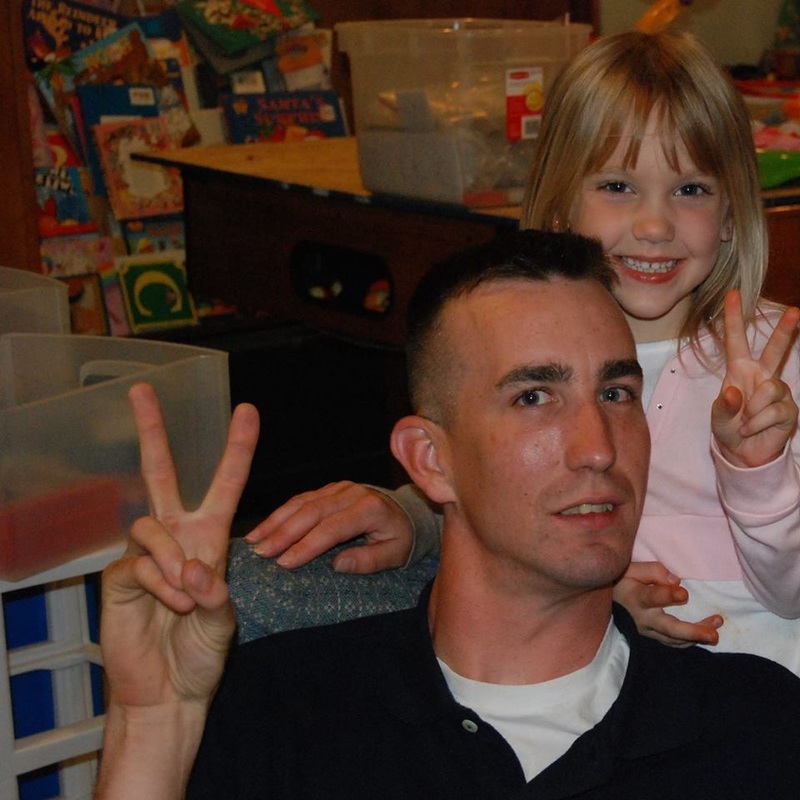 SPC Wildrick, a father of two beautiful girls, was 30 years old. SPC Wildrick’s awards and decorations include the Army Commendation Medal, Afghanistan Campaign Medal with Bronze Service Star, Global War on Terrorism Medal, Army Service Ribbon and the Basic Parachutist Badge. His posthumous awards include a Bronze Star Medal, Purple Heart, NATO Medal and the Combat Infantryman Badge. Sergeant Jason Caspers, a fellow Continental Color Guard member, described SPC Wildrick by saying, “He not only taught me a lot about getting the job done, but also doing the job right. As a soldier, he always pushed and strived to keep tradition and standards.” Through his service, SPC Wildrick hoped to make his family proud. He was particularly close to his two nieces and three nephews, who looked up to their Uncle Ronnie. 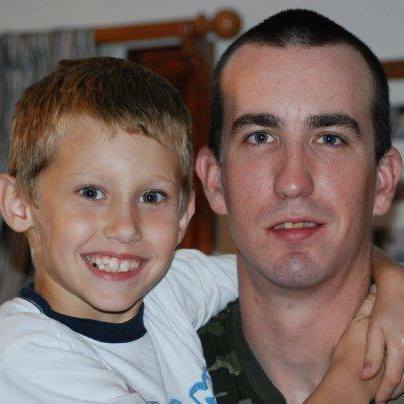 Nearly seven years after his death, SPC Wildrick remains a hero to the family he hoped to make proud. 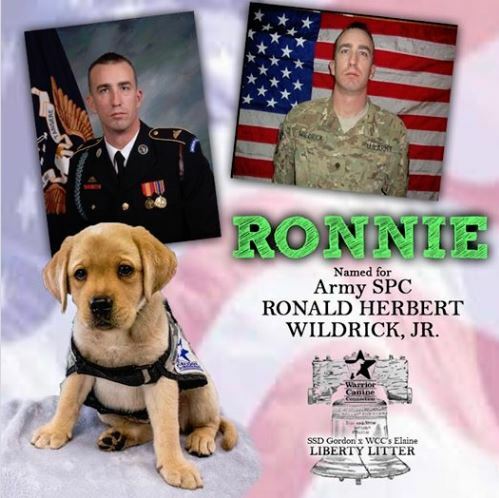 It is with great pride that we name WCC’s Ronnie in honor of United States Army Specialist Ronald Wildrick, Jr.